Casey Rosen-Carole, M.D., M.P.H., M.Ed. Dr. Rosen-Carole is Medical Director of Lactation Services and Programs at the University of Rochester. She trained at New York Medical College and completed a residency in Pediatrics at Yale New Haven Children's Hospital. She was a practicing community pediatrician and residency faculty from 2008-2014, in New Haven, CT then in New York's Hudson Valley before relocating to Rochester to do a fellowship in Breastfeeding Medicine and General Academic Pediatrics. Dr. Rosen-Carole was in the National Health Service Corps from 2010-2014 working in Federally Qualifying Health Centers, which helped her fulfill her mission of increasing access and quality of care for at-risk children. She practices outpatient and inpatient Breastfeeding Medicine. She is fluent in French and Spanish. 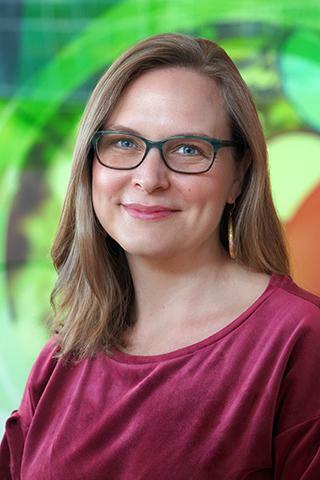 Dr. Rosen-Carole's research focus is in systems change for breastfeeding education and support; she is currently investigating the role of stress in mothers whose infants are admitted to the NICU. Other areas of interest include community organizing to address social determinants of health, programming for diversity and equity. Rosen-Carole C, Allen K, Fagnano M, Dozier A, Halterman J. "Mothers' Concerns for Personal Safety and Privacy While Breastfeeding: An Unexplored Phenomenon." Breastfeeding medicine : the official journal of the Academy of Breastfeeding Medicine.. 2018 Apr 0; 13(3):181-188. Epub 2018 Feb 28. Walker RD, Messing S, Rosen-Carole C, McKenna Benoit M. "Defining Tip-Frenulum Length for Ankyloglossia and Its Impact on Breastfeeding: A Prospective Cohort Study." Breastfeeding medicine : the official journal of the Academy of Breastfeeding Medicine.. 2018 Apr 0; 13(3):204-210. Epub 2018 Mar 20. Rosen-Carole CB, Auinger P, Howard CR, Brownell EA, Lanphear BP. "Low-Level Prenatal Toxin Exposures and Breastfeeding Duration: A Prospective Cohort Study." Maternal and child health journal.. 2017 Dec 0; 21(12):2245-2255. Chapter Title: Breastfeeding in the Context of Neurological Disorders. Book Title: Neurological Diseases and Pregnancy: A Coordinated Care Model of Best Management.